HDR is a word that is either infamous or famous or at times a taboo. Well, all this depends upon the environment one has been a part of. everey HDR photographer comes across the same steps and scenarios while in the process. The mere descriptions by the photographers and the pictures they have clicked, give us a glimpse of the stage they are currently at. In fact, there are various stages the HDR photographer might come across in his career. Some of them, actually the most vital ones have been discussed on this article. Well that’s really very true! 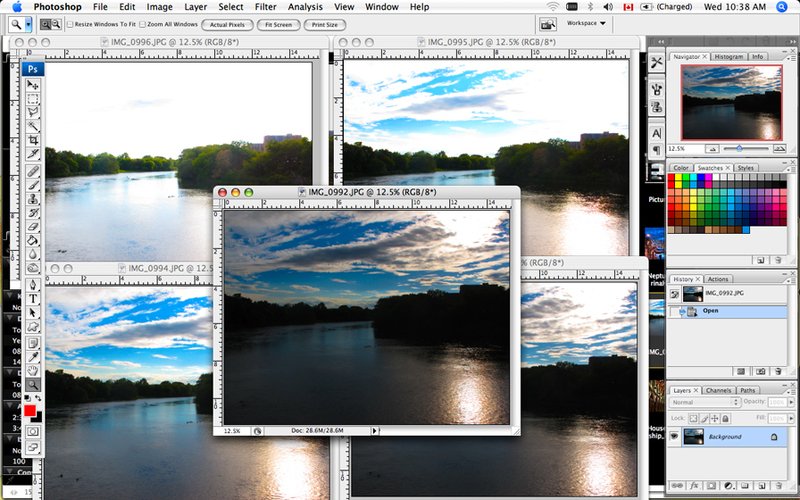 HDR is truly revolutionary for the beginners and those looking for something fresh to rejuvenate their senses again. It’s actually a technique to set the pictures and images at par from the rest. HDR means to develop something which cannot be done by all and sundry. It is actually a phenomenon, every HDR photographer goes through. With the use of over-saturated themes and colors, muddy whites, halos, clipped channels and sickly skin tones some of the terrible images are bought into picture and one just starts thinking that what an awesome piece of work it is! HDR photographers won’t agree to change such styles ever. This is what one begins to think when some of his amateur styles of HDR get solidified and this is the time when he begins to teach others the rules of this game. A screen cast or even an in depth HDR tutorial is what one offers others who wish to learn HDR photography. At times, one even holds HDR seminars in the residing town to pomp off his creations and frames his masterly influence on the art. Such implemented ideas bring the HDR photographers on the actual fast track of this part of the universe. Now when everything has gone fine in an HDR photographer’s career and he has actually become a kind of an authority of this art, one begins to look at his image sin a different, new light. However, this new light really reveals some of the terrible flaws inb the art and images that have been developed. Then halos start developing in one’s mind, at a greater pace actually. Is this really that obvious? Am I over-reacting on this or would other people also notice the same flaws as I have? What’s with these muddy white colors? What has just happened to my art? I can’t really understand! While all this happens, one should never panic. In order to make a quick recovery, one needs to understand that the fact needs to be admitted that there is actually a problem. Check your ego at the door and start moving without hesitation. Life would really become easy and comfortable that ways!